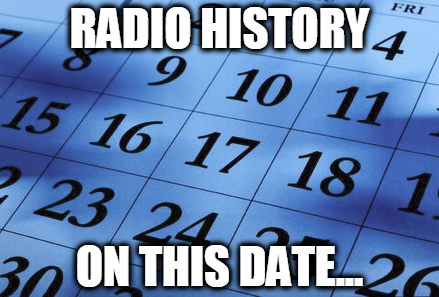 ➦In 1916...Radio personality Barry Gray was born, generally considered the father of the "Call-In" Radio format. 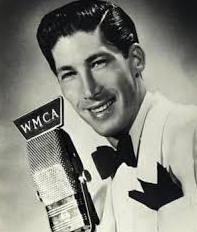 Initially a disc jockey, Gray was working for New York's WMCA radio station in 1945 when he, bored one evening with simply spinning music, decided to put the telephone receiver up to his microphone and share his conversation with the listening audience. The caller that evening just happened to be bandleader Woody Herman, one of the most popular celebrities of the day. This spontanenous live interview was such a hit with both his listeners as well as station bosses, that the talk radio format resulted. Gray subsequently began doing listener call-ins as well. In 2002, industry publication Talkers magazine selected Barry Gray as the 8th greatest radio talk show host of all time. Beginning in 1950 he ran for 39 straight years late-night on WMCA, then moved to WOR until his death Dec. 21 1996 at age 80. 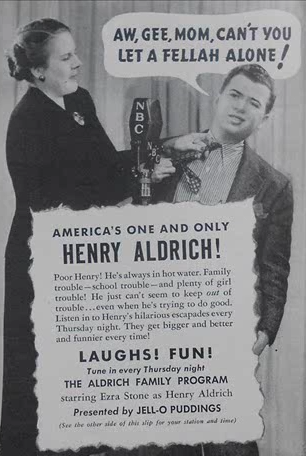 ➦In 1939…In 1939, The Aldrich Family debuted as the summer replacement for Jack Benny Sunday nights at 7 on NBC radio. For the next 13 years the program would open to the sound of Mother Aldrich calling, “Hen-ree! Henry Aldrich!” Mrs. Aldrich was named Alice; Mr. Aldrich was Sam; Henry’s sister was Mary; Henry’s mischief-making friend was Homer Brown; and Henry’s girlfriend was Kathleen. The teenaged Henry was played delightfully by Ezra Stone who was then already in his mid-20’s. The show moved to CBS from 1944 to 1946, then back to NBC until 1953. ➦In 1941...the lighthearted comedy-mystery The Adventures of the Thin Man, based on the Nick & Nora Charles movie series of the same name, debuted on NBC radio. Claudia Morgan delightfully played Nora throughout the ten year run, while Les Damon was the first of four radio actors to play Nick. ➦In 1945...The Marlin Hurt & Beulah Show made its debut on CBS radio. Marlin Hurt had first introduced his Beulah character (a black maid) while a cast member of the Fibber McGee & Molly Show. 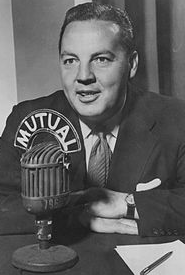 ➦In 1946…Arthur Godfrey was signed by CBS Radio to host a weekly nighttime show called "Talent Scouts." 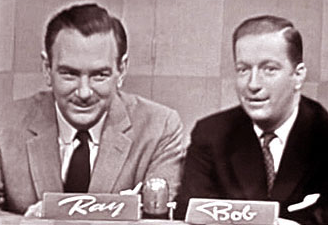 ➦In 1951...Bob & Ray show premieres on NBC radio network. Elliott and Goulding began as radio announcers (Elliott a disc jockey, and Goulding a news reader) in Boston with their own separate programs on station WHDH-AM, and each would visit with the other while on the air. Their informal banter was so appealing that WHDH would call on them, as a team, to fill in when Red Sox baseball broadcasts were rained out. Elliott and Goulding (not yet known as Bob and Ray) would improvise comedy routines all afternoon, and joke around with studio musicians. ➦In 2012…Broadcasting executive Julian Goodman, president of NBC (1966-1974), died at age 90. 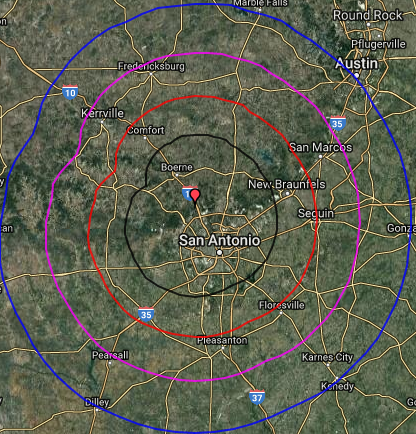 ➦In 2015…Veteran CBS Radio News correspondent David Jackson died of cancer at 70.
iHeartMedia San Antonio has launched KXXM 96.1 NOW, San Antonio’s No. 1 Hit Music Station. The station is kick-off with a full weekend of commercial-free music, featuring around-the-clock music as well as a contest for listeners to win a trip to see Justin Bieber live in concert. 96.1 NOW will broadcast hit music from artists such as Justin Bieber, The Chainsmokers, Ed Sheeran, and Bruno Mars. The full local programming lineup will continue with The Kidd Kraddick Morning Show from 6 – 10 a.m., Michelle Fay on middays from 10 a.m. – 3 p.m., The Russell Rush Show from 3 – 7 p.m., and EJ wrapping up nights from 7 p.m. – midnight. The Russian state-sponsored news outlet Sputnik has entered the Washington, D.C., radio market in an effort to push back against what it called "constant attacks" by U.S. media companies. 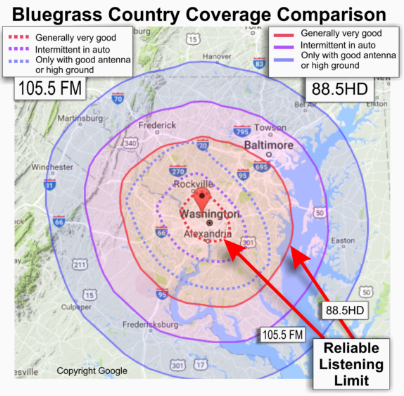 According to The Hill, Sputnik Radio announced Friday that it has taken over 105.5 FM W288BS Reston VA/Washington DC , which previously aired bluegrass music. The transdlator is being fed via Radio One's WKYS 93.,9 FM HD3. In a statement, Mindia Gavasheli, the editor-in-chief of Sputnik's D.C. bureau, accused U.S. news organizations of unfairly attacking and criticizing the news outlet, which is funded by the Russian government. "We’re glad to finally be able to directly address our listeners in Washington. 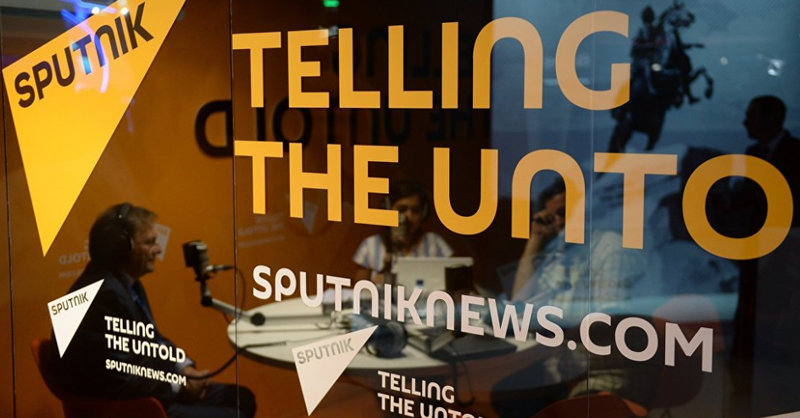 During the last few months Sputnik Radio has become the target of constant attacks in the US corporate media," Gavasheli said. "And often the people who wrote or spoke about us didn’t even bother to listen to our broadcasts first." Sputnik was launched by Rossiya Segodnya, a Russian state-run news service, in 2014 and has been accused in the U.S. of being a propaganda tool of the Kremlin. The dcist.com is reporting Sputnik is currently in talks with potential hosts and producers about a D.C. morning drive show, programming right now in the mornings is largely international news coming from Moscow and Edinburgh, two other cities with Sputnik newsrooms. D.C. is Sputnik's only U.S. outpost for now, and employs about 40 people, Gavasheli says. At noon on weekdays, the three-hour progressive radio show "The Thom Hartmann Program" plays (Hartmann also has a daily television show on RT America), followed by "By Any Means Necessary," a show about social justice movements hosted by Eugene Puryear, a D.C. based activist. At 4 p.m., "Fault Lines" comes on, with Lee Stranahan, a former Breitbart reporter, and Garland Nixon, a progressive. Gavasheli describes it as a "Crossfire-style" show where "they yell at each other and argue about things." Then, at 5 p.m., Brian Becker of the ANSWER Coalition hosts a show called "Loud and Clear With Brian Becker," which covers international issues. "We don't do our shows on weekends, so Moscow produces most of the content on the weekends," Gavasheli said. The Bluegrass Country station that previously resided on 105.5 remains on WAMU 88.5 FM HD2 and streaming online, or via their phone app. 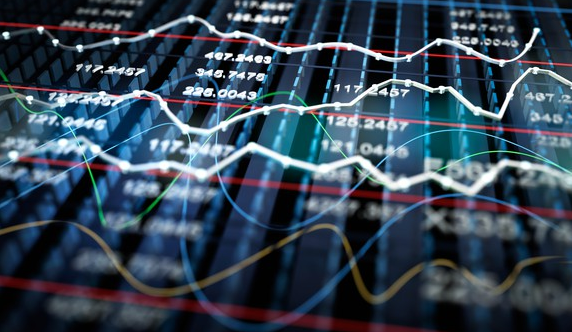 Stocks have thus far thrived in the era of President Trump, but one sector is lagging: entertainment media, according to The Hollywood Reporter. 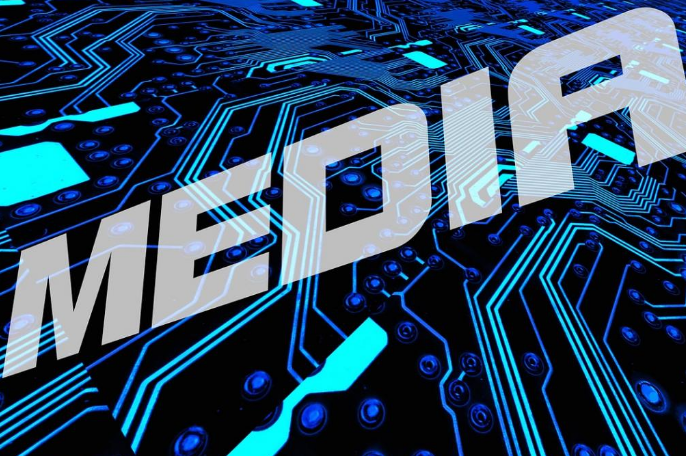 In the first half of 2017, the S&P 500 is up 8.2 percent, but five of the seven media conglomerates are underperforming that benchmark. In fact, of the 50 media companies tracked by THR, 30 have either fallen or have advanced less than the broader markets. Even though he acknowledges that the election of Trump “has not been a catalyst for media stocks,” Amobi says it is “counter-intuitive,” because the president is rolling back regulations and is friendly toward mergers and acquisitions, thus there’s potential for the sector. Some of the carnage in the first half of the year can be attributed to television, with several cable and broadcast networks struggling with poorly rated shows amid competition from Netflix and Amazon.com and soon from Facebook and others. Hence, some of the more pure-play TV companies are suffering, like Discovery Communications (down 6 percent) and AMC Entertainment (up just 2 percent). As for the conglomerates, here’s how they have fared: 21st Century Fox (up 2 percent); CBS (down 1 percent); Viacom (down 3 percent); Walt Disney (up 2 percent); Time Warner (up 5 percent); Comcast (up 13 percent); Sony (up 36 percent). (Reuters) -- Paul McCartney has reached a confidential settlement of his lawsuit against Sony/ATV Music Publishing LLC in which he sought to reclaim copyrights to songs by the Beatles. The accord disclosed on Thursday in filings with the U.S. District Court in Manhattan ends the 75-year-old McCartney's pre-emptive effort to ensure that the copyrights, once owned by Michael Jackson, would go to him starting in October 2018. U.S. District Judge Edgardo Ramos signed an order dismissing the case, but agreed to revisit it if a dispute arose. The dismissal request had been made by Michael Jacobs, a lawyer for McCartney, on behalf of the singer and Sony/ATV. It is unclear how the accord affects McCartney's copyright claims. The singer's representatives could not immediately be reached on Friday for comment. McCartney had sued on Jan. 18 for a declaration that he could reclaim more than 260 copyrights, including for songs credited to him and John Lennon such as "I Want to Hold Your Hand," "Yesterday" and "Hey Jude." The registrations at issue also covered "Maybe I'm Amazed" and several other songs McCartney recorded as a solo artist. They even covered such titles as "Scrambled Egg," which is close to the working lyric "Scrambled Eggs" that McCartney once used for the song that became "Yesterday." McCartney had been outbid by Jackson in 1985 for the Beatles' song rights, which were later rolled into Sony/ATV, a joint venture with Sony Corp. The pop star's estate sold its stake in that venture to Sony for $750 million last year. McCartney sued 1-1/2 months after a British court said the pop group Duran Duran could not reclaim rights to their songs, in its case against Sony/ATV's Gloucester Place Music unit. Changes made in 1976 to U.S. copyright law let authors like McCartney reclaim song rights after periods of time elapsed. 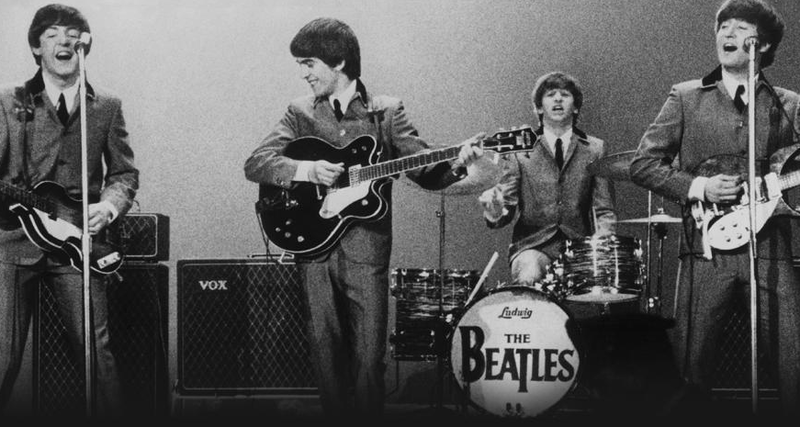 In his lawsuit, McCartney said he could begin exercising his rights on Beatles songs, starting with "Love Me Do," on Oct. 5, 2018. If Annie Lennox plays her cards right, she could have a successful music career. According to CBS News, the former Eurythmics singer -- who has won four Grammys, an Oscar and a Golden Globe for her music -- posted an unsolicited letter she received from a radio station employee in Los Angeles who clearly had never heard of her. Lennox posted the letter -- with certain information blacked out -- to her Facebook page, along with the joking comment, "I think I'm in with a chance ??!!!" The station's new music coordinator, Kylie, wrote that she "came across Lennox's music online" and "really like what I heard." Kylie then asked Lennox to send over an MP3 of her new single, which she'll share with the station's program director. "I only ask because we are connected to an artist development firm that can also get you onto 150 radio stations worldwide and provide support for press, video, retail, and licensing," Kylie continued. "The best part is, if they really like your music, they'll cover all of the marketing expenses." ➦In 1897…Three years after the first issue of Billboard Advertising was published, the publication was renamed The Billboard. ➦In 1907...pioneer sportscaster Bill Stern was born in Rochester NY. From his first football game over WHAM in his home town, his flair for the dramatic was present in all his work, including the Colgate Sports Newsreel & the Gillette Friday Night Fights on NBC Radio. Later he joined ABC, and was the announcer on the first televised boxing match. He died after a heart attack Nov 19 1971 at age 64. ➦In 1920…GE and AT&T sign cross-license agreement. ➦In 1923...the first permanent radio network, the AT&T web, was set up between WEAF New York and WMAF near Boston. ➦In 1934…The Federal Communications Commission (FCC) became the new regulator of U.S. broadcasting, replacing the Federal Radio Commission. ➦In 1941...marked the beginning of commercial television broadcasting. The Federal Communications Commission licenses went into effect, allowing broadcasters to transmit programs and advertising. The first channels to receive FCC licenses were WNBT in New York (the precursor to WNBC), operated by the National Broadcasting Company; and WCBW (now CBS), operated by the Columbia Broadcasting System. Any broadcasting before that date was considered "experimental". ➦In 1956...NBC's Steve Allen Show capitalizes on the outrage engendered by Elvis Presley's recent version of "Hound Dog" on The Milton Berle Show by winkingly presenting a new, "clean" Elvis, dressed in a tuxedo and singing "Hound Dog" to an actual basset hound perched on a stool. Backstage, a humiliated Elvis explodes in fury at the Colonel for agreeing to the stunt. The next day, however, fans protest the show, demanding "The REAL Elvis." ➦In 1968…CHUM 104.5 FM changed formats from classical to progressive rock. The station now airs a HotAC format. ➦In 1970...Casey Kasem begins his weekly Billboard countdown on the nationally syndicated radio show American Top 40. American Top 40 began on the Independence Day weekend in 1970, on seven radio stations, the very first being KDEO in El Cajon, California (now KECR), which broadcast the inaugural show the evening of July 3, 1970. The chart data broadcast actually included the top 40 songs from the week ending July 11, 1970. The very first show featured the very last time both Elvis Presley and The Beatles had songs simultaneously in the Top 10. It was originally distributed by Watermark Inc., and was first presented in mono until it started recording in stereo in September 1972. In early 1982, Watermark was purchased by ABC Radio and AT40 became a program of the "ABC Contemporary Radio Network". The program was hosted by Casey Kasem and co-created by Kasem; Don Bustany, Kasem's childhhood friend from Detroit, MI; radio veteran Tom Rounds; and 93/KHJ Program Director Ron Jacobs, who produced and directed the various production elements. The show began as a three-hour program written and directed by Bustany, counting down the top 40 songs on Billboard's Hot 100 Singles chart. The show quickly gained popularity once it was commissioned, and expanded to a four-hour-program on October 7, 1978, to reflect the increasing average length of singles on Billboard's Hot 100 chart. 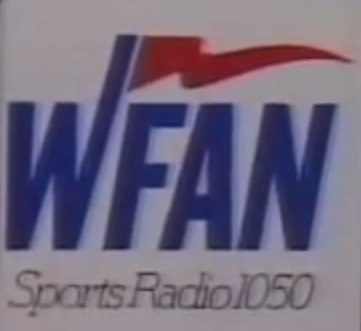 At 3:00 p.m. on July 1, 1987, Emmis Communications-owned WFAN signed on at 1050 kHz, replacing country music station WHN, and billing itself as the world's first 24-hour-per-day sports talk station. (The WFAN call sign was suggested by the wife of "The Fan's" first program director, John Chanin. The first voice heard on WFAN was that of Suzyn Waldman, with a sports update, followed by the first show, which was hosted by Jim Lampley. Waldman reported for the station, covering the New York Yankees and New York Knicks for 14 years. Other hosts besides Lampley during WFAN's fifteen months at 1050 kHz included Bill Mazer, Pete Franklin, Greg Gumbel, Art Shamsky, and Ed Coleman. Ann Liguori is also one of the original hosts and was the first woman to host a show on the station. WFAN also inherited broadcast rights to the defending World Series champion New York Mets from WHN, who had held the rights for several years. In early 1988 General Electric, which now owned NBC through its purchase of RCA two years earlier, announced that it would close the NBC Radio division and sell its stations. In February of that year GE made a multi-station deal with Emmis and, in New York, the WNBC license for 660 was included in the sale. On October 7, 1988 at 5:30 p.m., WFAN moved down the radio dial to replace WNBC at 660 kHz. 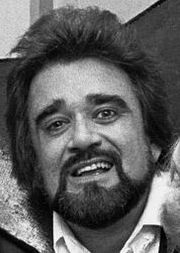 ➦In 1995…Wolfman Jack died at his home in North Carolina at age 57. Wolfman Jack had finished broadcasting his last live radio program, a weekly program nationally syndicated from Planet Hollywood in downtown Washington, D.C.
Wolfman Jack said that night, "I can't wait to get home and give Lou a hug, I haven't missed her this much in years." Wolfman had been on the road, promoting his new autobiography. "He walked up the driveway, went in to hug his wife and then just fell over," said Lonnie Napier, vice president of Wolfman Jack Entertainment. 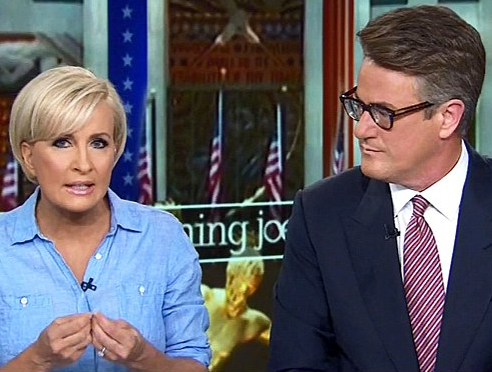 MSNBC hosts Joe Scarborough and Mika Brzezinski hit back at President Donald Trump Fridaymorning, calling him a liar and questioning his mental health. According to The Daily Mail, Trump claimed the duo relentlessly pursued him at Palm Beach property while Mika was recovering from a facelift. 'We are both certain that the man is not mentally equipped to continue watching our show, “Morning Joe," they said in a Washington Post story on Friday morning. According to their account in the Post, Trump invited them to Mar-a-Lago for dinner. When Brzezinski didn't show, he asked them back the next night on, New Year's Eve. They went - but did not attend the party he was having that night, they maintained. 'Trump also claims that Mika was “bleeding badly from a face-lift.” That is also a lie,' according to the story. 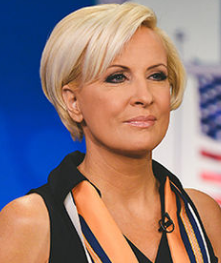 While Brzezinski 'never had a face-lift' they admit that she did 'have a little skin under her chin tweaked, but this was hardly a state secret.' (pictured right, Mika pointing to her chin. For President Trump’s inner circle the Morning Joe outburst was no surprise, reports the NY Times. Trump has been particularly upset by the hosts’ questioning of his mental state, the official said, viewing it as a form of personal betrayal. Trump and the “Morning Joe” duo once enjoyed a relatively friendly relationship: Mr. Scarborough and Ms. Brzezinski visited Mr. Trump’s Florida estate, Mar-a-Lago, this past New Year’s. Privately, Ms. Brzezinski was stunned by the remarks, telling a close friend on Thursday morning: “I really don’t need this.” Her father, Zbigniew Brzezinski, a former national security adviser, died in May, and her mother, Emilie Benes Brzezinski, has suffered two heart attacks since he died, according to the friend, who requested anonymity to describe a private conversation. 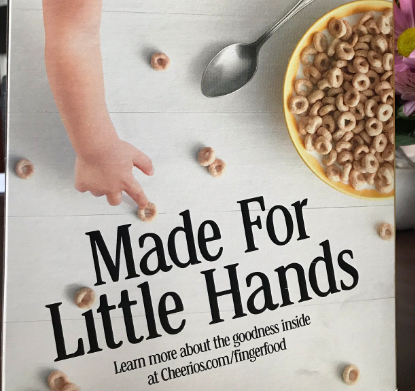 On Thursday, Brzezinski's posted to Twitter of a box of Cheerios, emblazoned with the words, “Made for Little Hands,” referring to a longstanding insult about Mr. Trump. With a growing number of Republican lawmakers condemning President Donald Trump’s Twitter blitz against MSNBC’s “Morning Joe” co-host Mika Brzezinski, recent Morning Consult polling shows most Americans want the president to put his phone away. 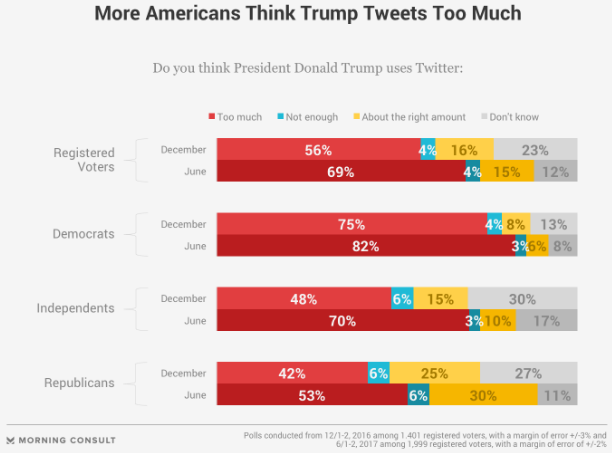 In a survey earlier this month, 69 percent of registered voters said Trump tweets too much, up 13 points from a December survey. 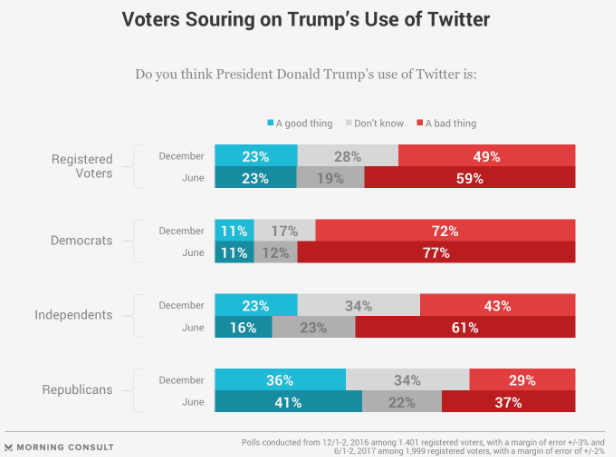 The share of voters disapproving of the volume of Trump’s tweets included 53 percent of Republicans (an increase of 11 points), 70 percent of independents (an increase of 22 points) and 82 percent of Democrats, up 7 points from December. 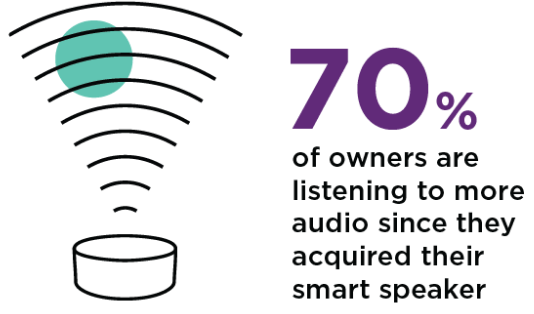 The Smart Audio Report, a new study from NPR and Edison Research, reveals the habits and behaviors of smart speaker owners. It contains insights on audio consumption, usage behaviors, ties to smart home technology and more. According to radiomagonline.com, the Smart Audio Report is based upon a national online survey of 1620 Americans ages 18+ — half of whom respondents indicated that they owned at least one smart speaker (160 Google Home, 709 Amazon Alexa-enabled, and 69 who owned both), while 820 respondents did not and were surveyed for comparative purposes. The device owner data was extrapolated to nationally representative figures based on The Infinite Dial 2017 from Edison Research and Triton Digital. According to The Infinite Dial 2017, 7% of Americans 12+ own a “smart speaker,” the category of voice-controlled devices that includes the Amazon Echo and Google Home. Nearly three-quarters of smart speaker owners indicated that they are listening to more audio (news/talk, podcasts, audiobooks and music) at home after getting the smart speaker. The average smart speaker owner listens to four hours and 15 minutes of music on a smart speaker, one hour and 15 minutes of news and one hour and 22 minutes of podcasts. 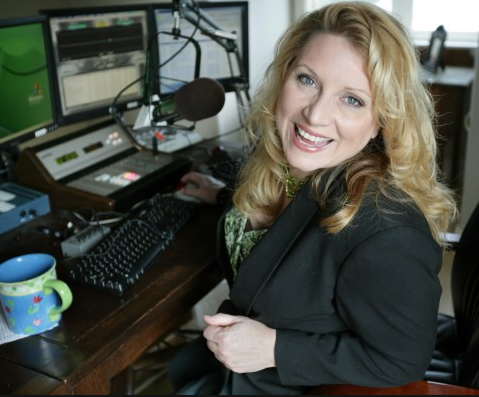 After being MIA for the past seven years, iHeartMedia’s Q101.9 KQXT-FM announced Thursday the return of popular nationally-syndicated personality Delilah to the station’s nightly lineup. Beginning July 3, the program will air from 7 p.m. to midnight, Sunday through Friday. The top-rated show features Delilah's distinctive blend of story-telling, sympathetic listening and encouragement - all scored with adult contemporary music. Often referred to as the “Oprah of Radio,” Delilah attracts millions of listeners on more than 150 radio stations, making her the most listened-to woman on radio in the U.S. For her work on the program, Delilah has been inducted into the National Association of Broadcasters (NAB) Broadcasting Hall of Fame and the National Radio Hall of Fame, and she received the 2016 NAB Marconi Award for Network/Syndicated Personality of the Year. JVC Media of Florida, a leading independent and locally owned radio and events company, announces the addition of MurphDawg & Jenn to mornings on its Orlando Country station WOTW 103.1 The Wolf effective immediately. 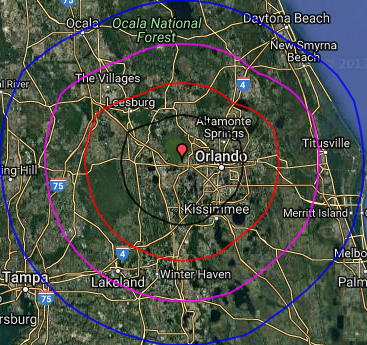 Guaranteed to keep it real weekday mornings from 6am-10am, MurphDawg & Jenn will have everything Orlando needs to get moving each morning. Jenn, a fashion model and mother of two, began her career with The Wolf in 2015 before making her way across the street to CBS CHR/Top 40 WQMP and Hot AC WOMX. MurphDawg, an avid sports junkie and Country music nut, has 20 years of radio experience waking up markets like Atlanta (WBTS), Long Island (WPTY), and Greenville (WHZT). Radio host Rush Limbaugh said that the media are "humiliating themselves" with their coverage of the Trump administration. "The media is now gob-smacked. They are in the process of humiliating themselves every day." According to Fox News Insider, Limbaugh mentioned the "glaring example" of CNN, which had to back away from a story connecting Trump associate Anthony Scaramucci to a Russian bank system. The story resulted in three CNN employees being let go. "The whole Russia story has simply consumed the media," the radio pundit said. "I think Trump has got them so discombobulated and so disoriented that they themselves are being consumed with hatred and rage, and they are frustrated now at their inability to get rid of the guy," Limbaugh concluded. The Washington Times reports coverage of the president’s media feuds prompted Mr. Limbaugh to excoriate CNN’s Clarissa Ward and Wolf Blitzer, among others. Mr. Limbaugh said the proper perspective on political rhetoric must take into consideration the fact that it was Rep. Steve Scalise and other congressional Republicans who survived an assassination attempt on June 16 by left-wing gunman James Hodgkinson. 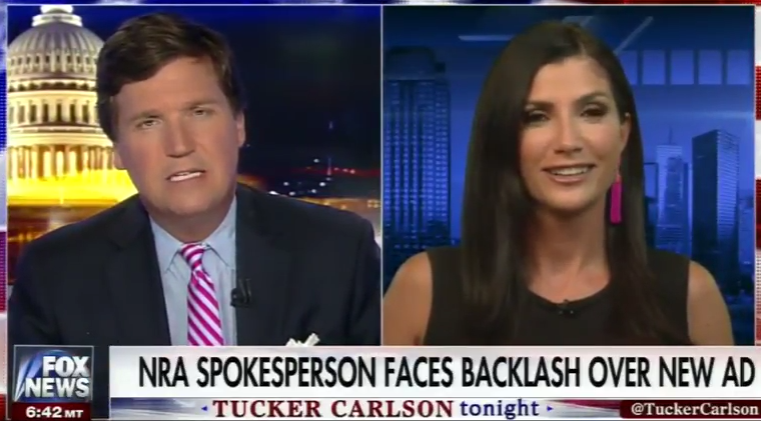 Syndicated radio host Dana Loesch defended a video ad she fronted on behalf of the National Rifle Association Thursday, saying that liberal critics' reaction to it was "insane." The video drew condemnation from several liberal commentators and lawmakers, including Sen. Chris Murphy, D-Conn. Loesch called Murphy's tweet "incredibly reckless and irresponsible." "There was nowhere in this video ... where I called for anyone to move toward violence, to silence anyone, or where I called for anyone to even pick up a firearm and enact violence," she said. Kimberly Guilfoyle dispelled rumors that she may replace Sean Spicer as White House Press secretary, announcing Thursday that she will remain at Fox News to continue as co-host of “The Five” after signing a long-term deal to stay at the network, according to The Daily Caller. Guilfoyle was rumored to be next in line to take over as press secretary under President Donald Trump, but instead opted to continue as a host at the top network in cable news. “Throughout the past decade, Kimberly has served as a popular commentator here at Fox News. She’s a huge asset to ‘The Five’ and undoubtedly contributed to making the program a notable success,” said president of programming Suzanne Scott. For the second time in less than a year, the anchor Greta Van Susteren has been abruptly let go by a cable news network, according to The NYTimes. Ms. Van Susteren confirmed her departure from MSNBC, five and a half months into the job, with a post on Twitter that read “I am out at MSNBC.” Her husband and agent, John P. Coale, said she was informed of the news on Thursday afternoon. Van Susteren, who took over the 6 p.m. hour for MSNBC in January, had been let go from Fox News last year after a messenger arrived at her home and handed her a pair of letters informing her that she was out immediately. Mr. Coale said the MSNBC president, Phil Griffin, informed Ms. Van Susteren in person in Washington around lunchtime on Thursday. According to the Times report, there was “no warning” that she was in trouble before her dismissal, her show had been struggling in the ratings. In June, MSNBC’s 5 p.m. hour, “MTP Daily,” averaged 1.3 million viewers. Those numbers dropped during Ms. Van Susteren’s 6 p.m. hour, which is usually when viewership starts to rise as cable networks inch closer to the highest viewed hours of prime time. Van Susteren averaged 1 million viewers in June, an 18 percent drop from the previous hour, according to Nielsen. Conservative news channel NewsmaxTV is getting a distribution boost by returning to DirecTV’s channel lineup as of today. As part of the deal with DirecTV parent AT&T, Newsmax is also being added to AT&T’s U-verse platform for the first time. Together the deal brings Newsmax about 25 million subscribers, 21 million of them from DirecTV. 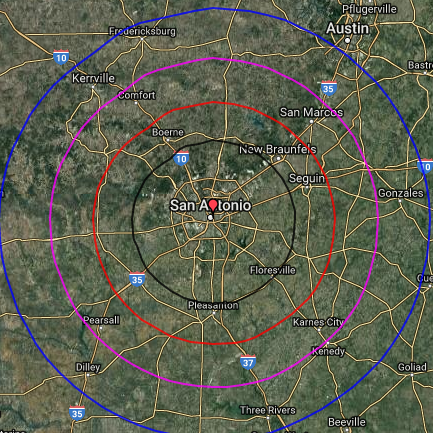 AT&T’s U-verse platform has been shrinking since the telco giant acquired DirecTV in 2016 and has sought to migrate U-verse subscribers to its larger satellite service. According to Variety, Newsmax is the most prominent of a handful of conservative news and commentary outlets that have been gaining traction in recent years. Many in the cable news market see an opening for a right-leaning outlet now that Fox News has faced such upheaval, including the loss of marquee anchor Bill O’Reilly. Newsmax has frequently been mentioned as a possible new home for O’Reilly, who hastily exited Fox News in April amid a cascading scandal about his history of settling sexual harassment suits. Newsmax had been on DirecTV in less-than-optimum channel position until about a year ago. It’s not clear what drove AT&T to restore Newsmax in a better position near other all-news cabler. 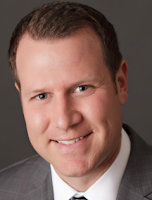 iHeartMedia/Chicago has announced the appointment of Joel Kelly as VP/Sales for the Chicago Region. He joined iHM Chicago in 2014 as General Sales Manager after serving three years as a Senior Account Executive at WUSN-FM and Local Sales Manager at WBBM-AM in Chicago. He also spent seven years as an Account Executive for iHeartMedia San Diego. Prior to his career in media, Kelly worked as an Athlete Manager for Imani Sports representing professional athletes with an emphasis on basketball and football. "Joel is a highly talented leader with a skill set unrivaled in the industry," said iHeartMedia Chicago Region President Matt Scarano. "His passion, tenacity and management style make him a key contributor to the success of our iHeartMedia team." "Joel's promotion is a representation of his hard work, ability to serve our clients and talent for motivating and leading staff all while meeting the needs of the Chicago Region," added iHM Chicago Region Senior VP/Sales Jerry Schnacke. "He has an established track record of producing success and we are very excited for his expanded role on our team." "We have a great team here at iHeartMedia Chicago, and I am honored to have the opportunity to play an increased role for such a world-class company," said Kelly. "This promotion is an exciting yet challenging new chapter for my career and I can't wait to see how it evolves." (Reuters) -- Sprint Corp used confidential information from its alliance with RadioShack Corp to open competing mobile phone stores, dooming the comeback by the electronics retailer and destroying jobs, according to a lawsuit filed on Wednesday by RadioShack creditors. RadioShack emerged from bankruptcy in 2015 with a deal to co-brand about 1,400 stores with Sprint, which was meant to help the telecoms provider better compete with larger rivals AT&T Corp and Verizon Communications Inc. However, by early 2017 RadioShack, owned by General Wireless, had returned to bankruptcy and is liquidating. The lawsuit filed in Delaware Superior Court by RadioShack's official committee of unsecured creditors says that Overland Park, Kansas-based Sprint breached its contract with RadioShack, and is seeking $500 million in damages. Sprint allegedly ignored its obligations to provide inventory and staff to RadioShack stores because of its own financial troubles. Sprint spokesman David Tovar said the company was disappointed by the creditors’ committee action and Sprint expected to defend the matter vigorously. The lawsuit alleges that in 2016, Sprint used confidential information obtained from RadioShack to open 200 competing stores near RadioShack's best locations, sinking any comeback for the electronics chain. 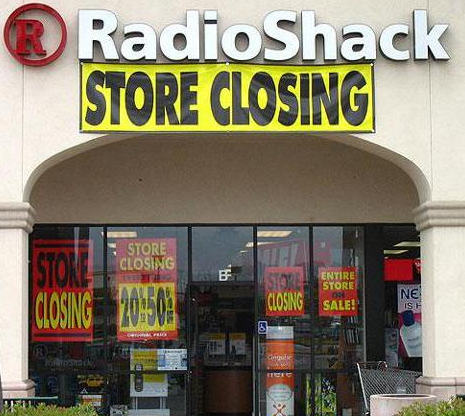 “Sprint’s action destroyed nearly 6,000 RadioShack jobs,” said the lawsuit. The allegations stand in sharp contrast to promises made less than seven months ago by the chief executive officer of SoftBank, Sprint’s Japanese parent company, that he would create U.S. jobs. U.S. President Donald Trump made jobs the centerpiece of his election campaign. SoftBank's Masayoshi Son was among the first foreign business leaders to meet with then-President-elect Donald Trump at his New York headquarters and praised the Republican for a raft of planned deregulations. The CEO promised to invest $50 billion with the aim of hiring 50,000 people in the United States. Trump took credit for the commitment and reported in late December that Sprint had committed to bringing 5,000 jobs to the United States. The Broadcasters Foundation of America has voted two of its Board members as Co-Vice Chairs, Scott Herman, Chief Operating Officer of CBS RADIO, and Jordan Wertlieb, President of Hearst Television. The elections took place during the Broadcasters Foundation’s Board of Directors meeting in New York City, last week. 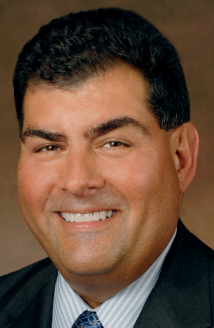 Herman oversees all of CBS RADIO’s 117 over-the-air radio stations operating in 26 major markets throughout the U.S. Herman is currently an active Board Member of the Radio Advertising Bureau (RAB), having previously held the position of Chairman. He is also a board member of the International Radio and Television Society Foundation (IRTS), National Association of Broadcasters (NAB), and the Broadcasters Foundation of America. Radio Ink magazine has named Herman one of the 40 Most Powerful People in Radio every year since 2008. Wertlieb has management oversight responsibility for Hearst’s TV stations, digital properties, and two radio stations across 26 U.S. markets. He serves as the Chairman of the National Association of Broadcasters’ (NAB) Television Board, is a member of the A+E Television Networks Board and the Broadcasters Foundation of America Board, and is a past President-Chairman of the NBC Affiliate Board. The Broadcasters Foundation’s Board of Directors is comprised of highly respected broadcast executives who are committed to “giving back” through the Broadcasters Foundation. The members of the Board represent a wide array of broadcast and broadcast-related companies. For more than 70 years, the Broadcasters Foundation has distributed millions of dollars to thousands of needy broadcasters and their families. Individual donations can be made to the Guardian Fund, corporate contributions are accepted through the Angel Initiative, and bequests can be arranged through the Legacy Society. To learn more or to donate, please contact the Broadcasters Foundation at 212-373-8250 or info@thebfoa.org or visit www.broadcastersfoundation.org. 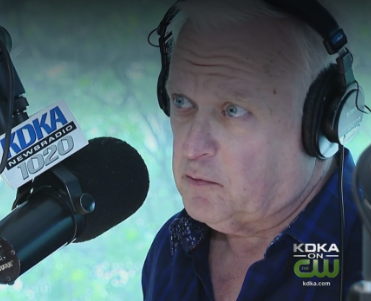 KDKA 1020 AM midday talk show host Mike Pintek announced on his show Thursday (June 29) that he has been diagnosed with inoperable pancreatic cancer, reports CBSLocal. “What I’m about to do is not easy. In fact, it’s probably one of the hardest things I’ve ever had to do,” Pintek said in an emotional statement, he made to his listeners. Pintek said the cancer has spread to his liver and possibly to other areas of his body. While the cancer is not operable now, the doctors hope that chemotherapy will shrink the tumor enough to make it operable. Pintek has been undergoing chemotherapy treatments at UPMC Hillman Cancer Center and is part of a clinical trial for an experimental drug that he says has shown a lot of success and a lot of promise for other people. “I have my good days and I have my bad days and for the most part, I think I have pretty good days,” he continued. 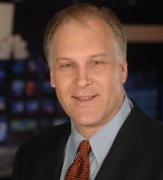 Pintek has been a talk show host on KDKA for two stints, from 1982-2005, and returning again in 2009. 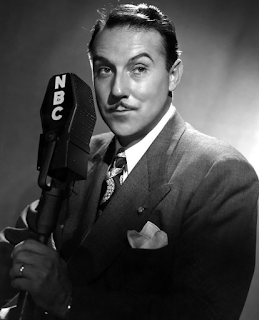 ➦In 1899...busy radio actor Santos Ortega was born in New York City. In the early 30’s he served as foil for Frank Crumit and Julia Sanderson, ‘The Singing Sweethearts of the Air,’ and starred in Bulldog Drummond (1942-43), The Adventures of Nero Wolfe (1943–1944) and The Adventures of Charlie Chan (1947-48). Perhaps his most notable radio role was Commissioner Weston on The Shadow. Ortega was heard in the daytime radio serials Valiant Lady and Perry Mason, and lent his remarkable range of voice characterizations to other radio dramas such as Inner Sanctum, The Mysterious Traveler, Suspense, Casey Crime Photographer, The Eternal Light, The Columbia Workshop, The Big Story, You Are There, and X Minus One. For 20 years he played Grandpa on CBS-TV’s As the World Turns. He died April 10 1976 at age 76. ➦In 1913...sportscaster/football owner Harry Wismer was born in Port Huron Mich. After years as one of the premier football playbyplay broadcasters in US radio, Wismer embarked on a failed ownership of the AFL’s New York Titans, who played their home games in the remains of the Polo Grounds. He died Dec 3 1967 of a cracked skull suffered in a drunken fall the day previous, at age 54. ➦In 1921…RCA, the Radio Corporation of America, was formed. By 1926 the market for commercial radio had expanded, and RCA purchased the WEAF and WCAP radio stations and networks from AT&T, merged them with its WJZ (the predecessor of WABC) New York to WRC (presently WTEM) Washington chain, and formed the National Broadcasting Company (NBC). GE used RCA as its retail arm for radio sales from 1919, when GE began production, until 1930. Westinghouse also marketed home radios through RCA until 1930. ➦In 1948...three scientists from Bell Telephone Laboratories demonstrated their new invention to replace the vacuum tube — the transistor. John Bardeen, Walter H. Brattain and William Shockley were awarded a Nobel Prize for their work. ➦In 1952...CBS-TV debuted “The Guiding Light”. It was a daytime serial that had been on radio already for 15 years (as pictured), and continued on TV for 57 years more, concluding in 2009. ➦In 1961...Radio pioneer, Dr Lee De Forest, died at age 87. He had 180 patents to his credit and named himself the "Father of Radio," with this famous quote, "I discovered an Invisible Empire of the Air, intangible, yet solid as granite." In 1906 De Forest invented the Audion, the first triode vacuum tube and the first electrical device which could amplify a weak electrical signal and make it stronger. The Audion, and vacuum tubes developed from it, founded the field of electronics and dominated it for 40 years, making radio broadcasting, television, and long-distance telephone service possible, among many other applications. For this reason De Forest has been called one of the fathers of the "electronic age". He is also credited with one of the principal inventions that brought sound to motion pictures. He was involved in several patent lawsuits, and spent a substantial part of his income from his inventions on legal bills. He was indicted for mail fraud, but later was acquitted. De Forest was a charter member of the Institute of Radio Engineers. DeVry University was originally named DeForest Training School by its founder Dr. Herman A. DeVry, who was a friend and colleague of De Forest. ➦In 1983...comedienne Mary Livingstone, who was born Sadye Marks in Seattle, grew up in Vancouver, then became Mrs. Jack Benny & got some of the best lines ever on his long-running radio show, died of heart disease at age 78. ➦In 1983...WPLJ 95.5 FM switched from AOR To Top 40. In the Spring of 1983, the station began a transition from AOR to CHR (Contemporary Hit Radio). With word that a Top 40 format was coming to 100.3 FM, WPLJ moved further into a CHR direction. Though the station began playing artists like Lionel Richie and Michael Jackson, Larry Berger stated that he did not make the decision to move to a CHR format until the last week of June, and WPLJ adopted a Rock-leaning CHR format on June 30, 1983. ➦In 1987...WYNY 97.1 FM, New York moved from a AC format to gold-based Country format as "Country 97". The first song played was Dolly Parton's, "Think About Love." The initial lineup included Mike Wade, Randy Davis, Jack Scott, Lisa Taylor, Mike McCann, Floyd Wright, Jay Michaels, Bill Rock and Jessica. "Dandy" Dan Daniel later joined the station, as well as Scott Carpenter and Carole Mason. The PD was Michael O' Malley, who is currently a Country radio consultant. ➦In 1995...supporting actor Gale Gordon, who could be hilarious or serious on dozens of radio shows including Fibber McGee & Our Miss Brooks, and on TV in Our Miss Brooks, Here’s Lucy & Dennis the Menace, succumbed to lung cancer at age 89. ➦In 2001...country music guitarist, producer and executive Chet Atkins lost his battle with cancer & died at his home in Nashville at age 77. Atkins’ recordings sold more than 75-million albums. He also played on such hit records as Elvis Presley’s “Heartbreak Hotel,” Hank Williams’ “Jambalaya” and the Everly Brothers’ “Wake Up Little Susie.” As an R-C-A Records producer and executive starting in 1957, Atkins helped craft the lush Nashville Sound using string sections and lots of echo. He had a role in the careers of such stars as Dolly Parton, Roy Orbison, Jim Reeves, Charley Pride, Waylon Jennings and Eddy Arnold. 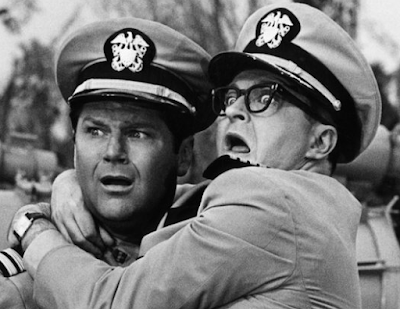 ➦In 2014...actor Bob Hastings, best remembered as Lt. Carpenter on ABC-TV’s McHale’s Navy, and for the title role on NBC radio’s Archie Andrews, succumbed to prostate cancer at age 89.
iHeartMedia today announced an exclusive long-term agreement with its noted Los Angeles morning personality Woody Fife to renew and expand his relationship with the company. 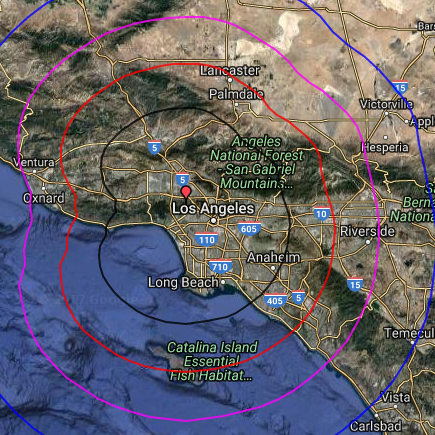 Under the new five-year agreement, Woody will continue his current role as host of the top rated “The Woody Show” on KYSR ALT 98.7, LA’s New Alternative. In addition, “The Woody Show” will now be syndicated nationally by Premiere Networks, extending its reach to a vast array of new markets and listeners. Woody will continue to work with iHeartMedia on a variety of joint ventures and new creative projects, and collaborate with iHeartMedia’s national talent and programming division on audio, event, mobile and digital assets. Broadcasting weekday mornings from 5 to 10 a.m. PT, “The Woody Show” is highly interactive, socially engaging appointment radio. Listeners, in their own words, call “The Woody Show” “authentic,” “raw” and “unapologetic,” and describe it as “recess/happy hour on the radio.” “The Woody Show” came to ALT 98.7 in April 2014 from St. Louis, where they had held the No. 1 position in key demos during their tenure in the market. Prior to that, the show also saw success in Chicago and San Francisco. In 2016, “The Woody Show” was a NAB Marconi Radio Award finalist for Major Market Personality of the Year. In addition to currently broadcasting on ALT 98.7 and ALT 104.9 in St. Louis, “The Woody Show” is also available on iHeartRadio.com and the iHeartRadio mobile app, iHeartMedia’s all-in-one digital music, podcasting and live streaming radio service.